Posted by Chris Fordyce. Mar 28, 2019. Most businesses heavily rely on meeting sales targets and developing new business relationships. Meeting sales targets will help your business thrive against your major competitors. Matching the appropriate staff to certain shifts is tricky when trying to reach sales targets. 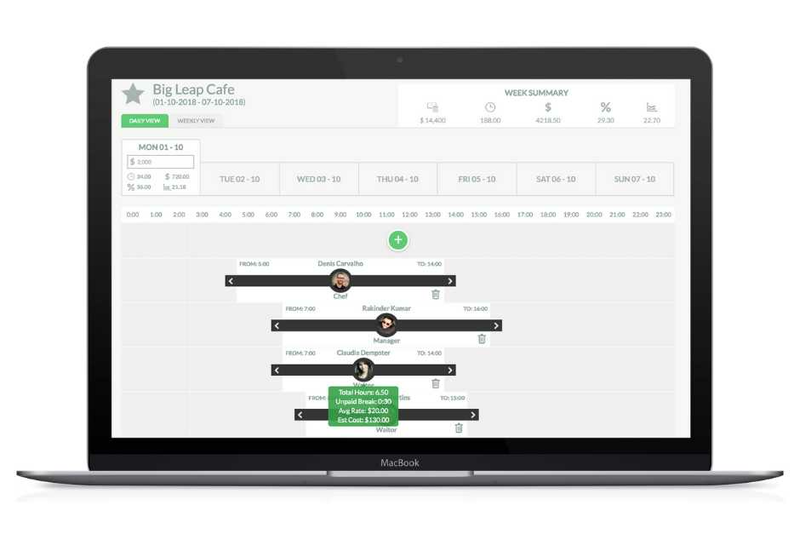 RosterElf’s cloud based software allows business owners and managers to set their weekly sales targets and understand the labour cost of each shift and how it will affect your business. Before you enter sales targets into your RosterElf account, be sure you have planned your sales structure within your business. Determine your minimum sales targets needed to bring a profit or at best break even. Understand the costs in your business and how sales can help cover those costs. Develop sales strategies to keep existing customers, attract new customers, and cross selling to existing customers. An achievable and realistic sales target is based upon a well structured marketing strategy. You will help staff achieve their sales targets by bringing in qualified leads and brand awareness from a range of marketing activities such as social media, email and search engine results. As you build your roster and are publishing you can enter in your daily and weekly sales goals. This will help determine the true labour percentage of your shifts. You will also need to set up your pay templates and pay rates to help budget these sales and shift costs. Once your roster and week has passed and you are looking to send your timesheet to your payroll provider, you can enter your true sales numbers and see real costs of your shifts and labour percentage. Our award interpretation tool allows your business to ensure roster budgeting is super accurate by taking into account individuals loadings for weekends, late nights and even overtime. It’s important to review your staff’s sales performance and ensure you are supporting them in reaching their goals. Sit down with staff and review sales numbers and sales activities that can help them. Effective budgeting is valuable in any rostering solution if you wish to maximise your profits and grow a strong performing team. RosterElf’s budgeting tool is designed to be both simple and powerful to use, calculating costs live as you build and adjust your roster as well as before processing payroll. Set business targets each week and watch our clever litter calculator presents all the statistics you need to know including total hours, estimated costings and labour percentage.